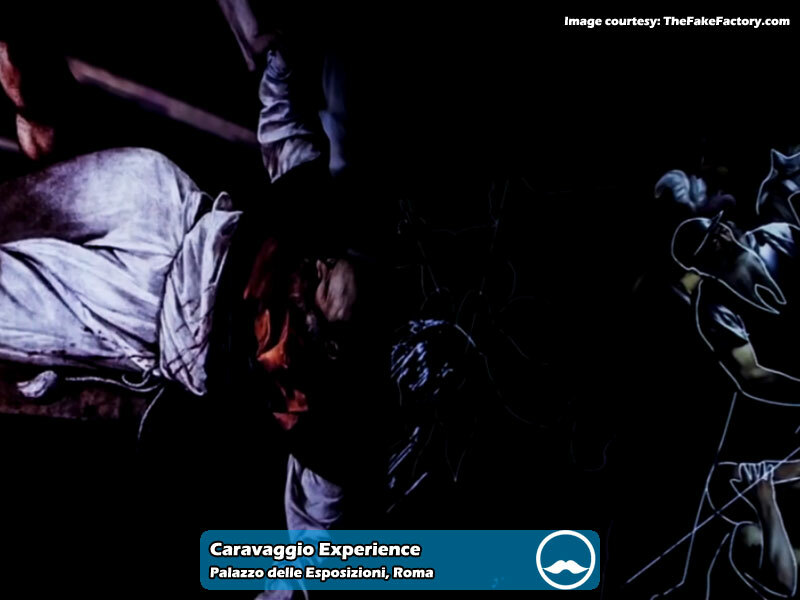 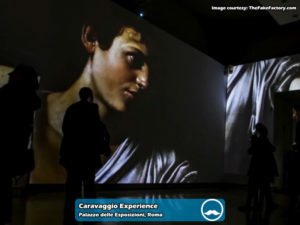 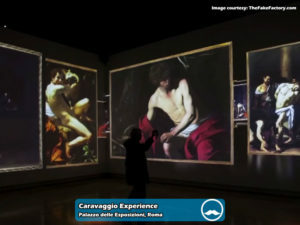 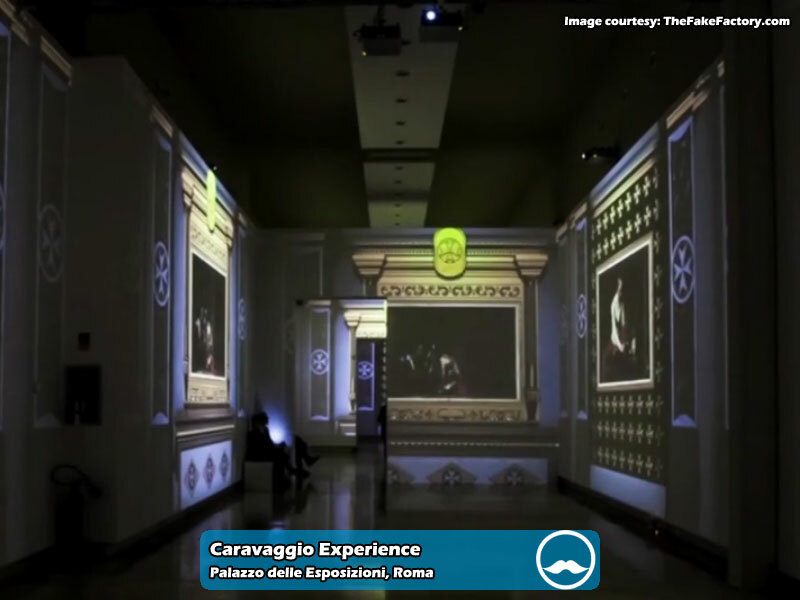 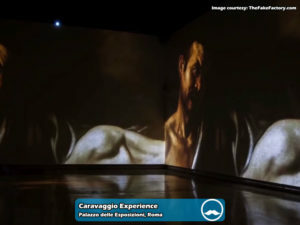 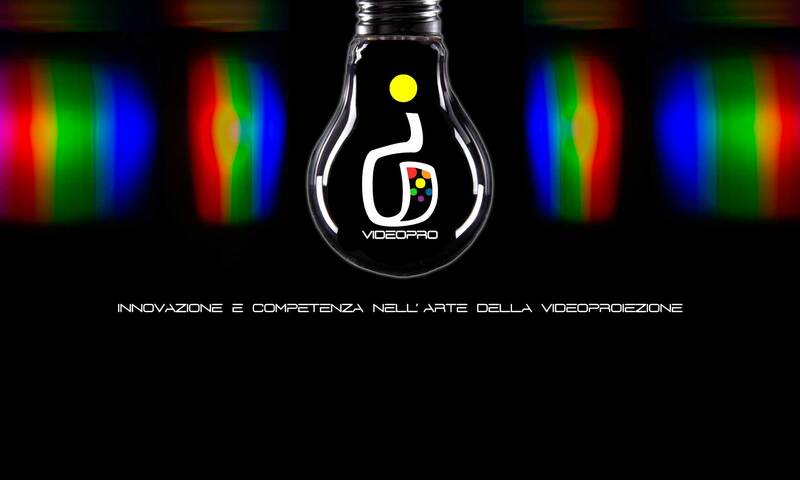 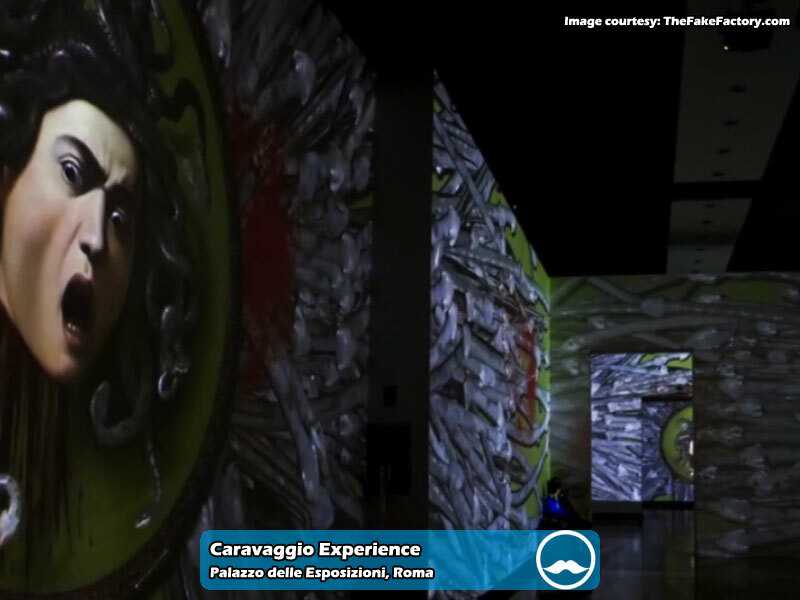 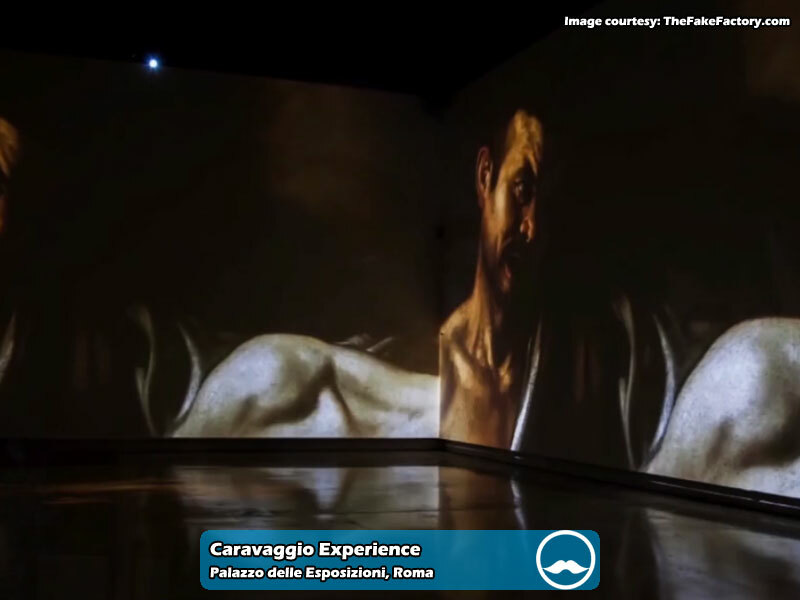 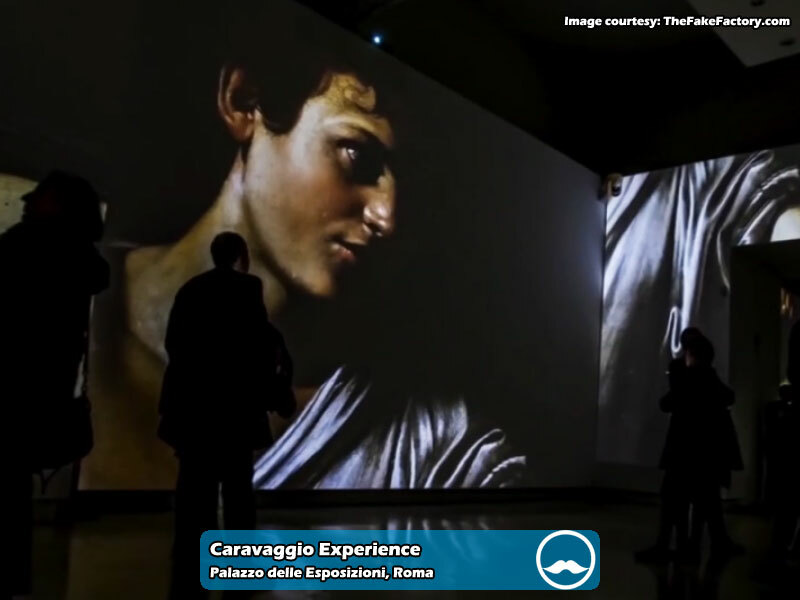 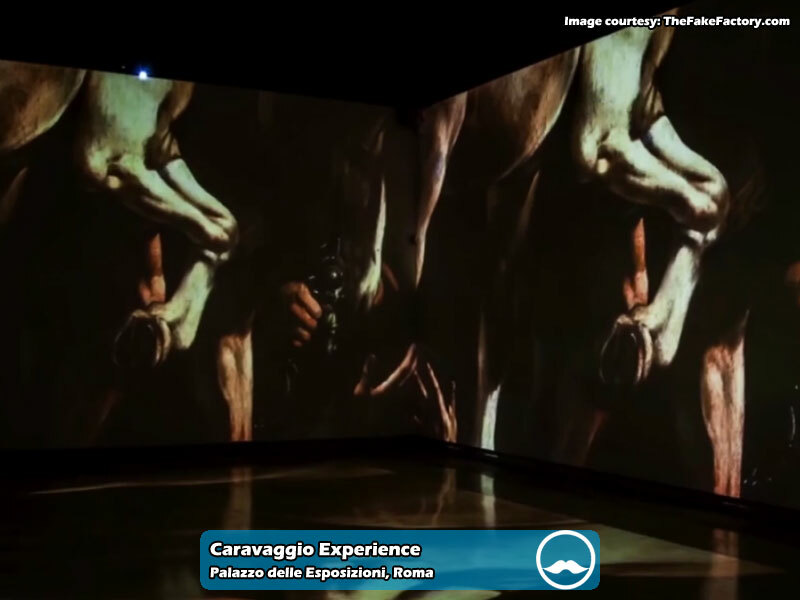 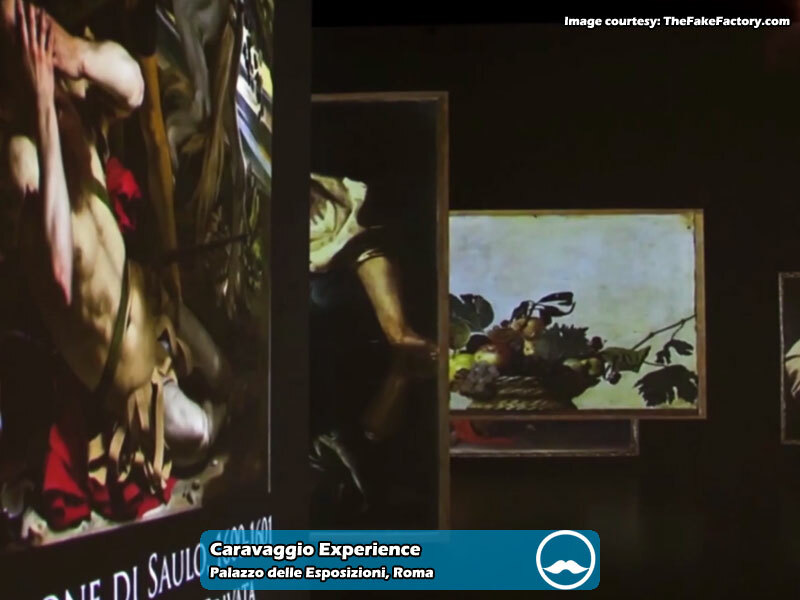 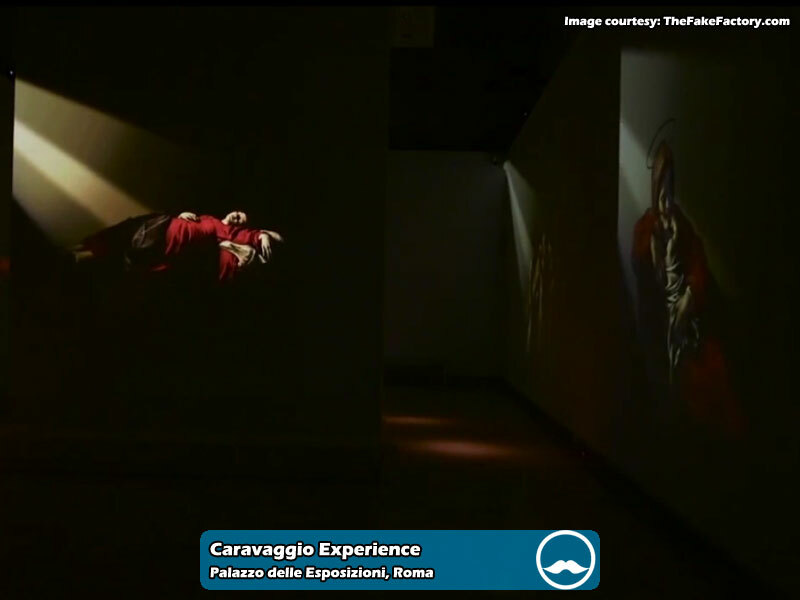 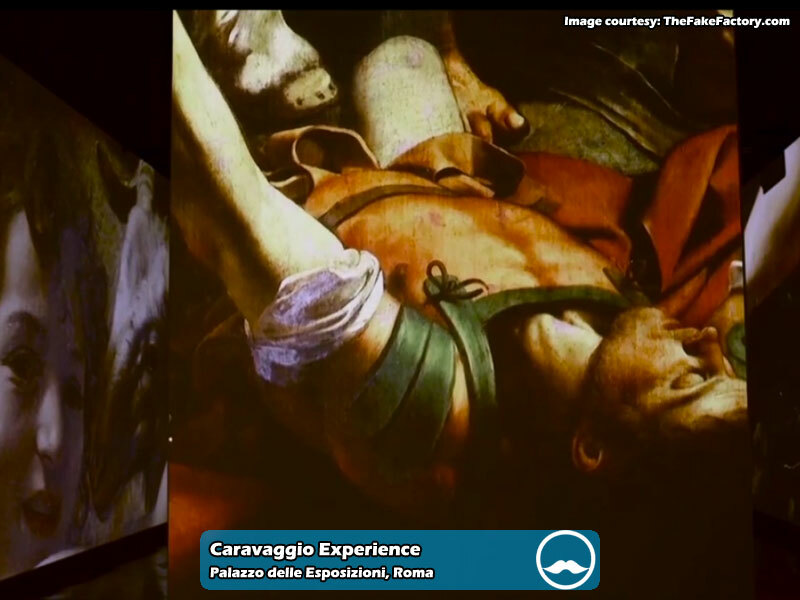 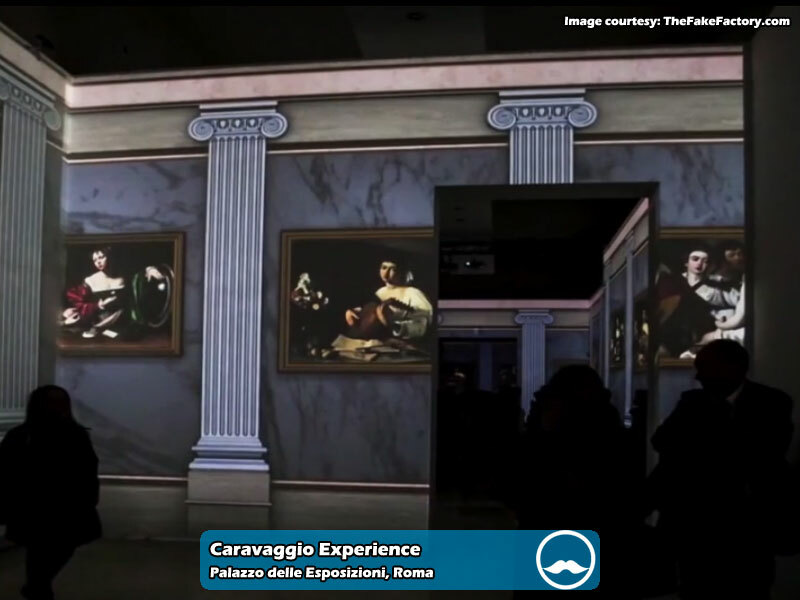 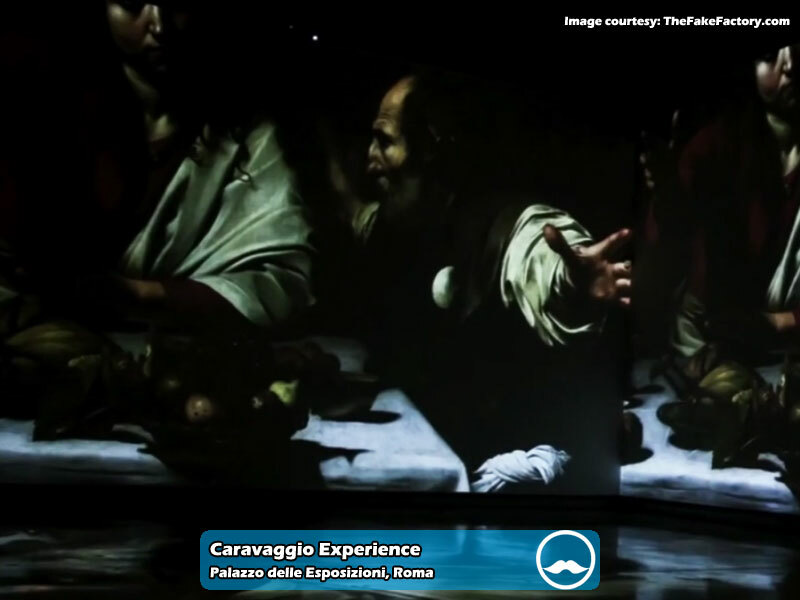 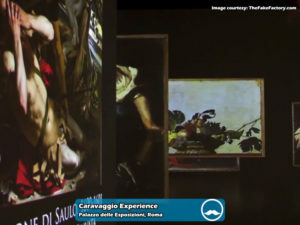 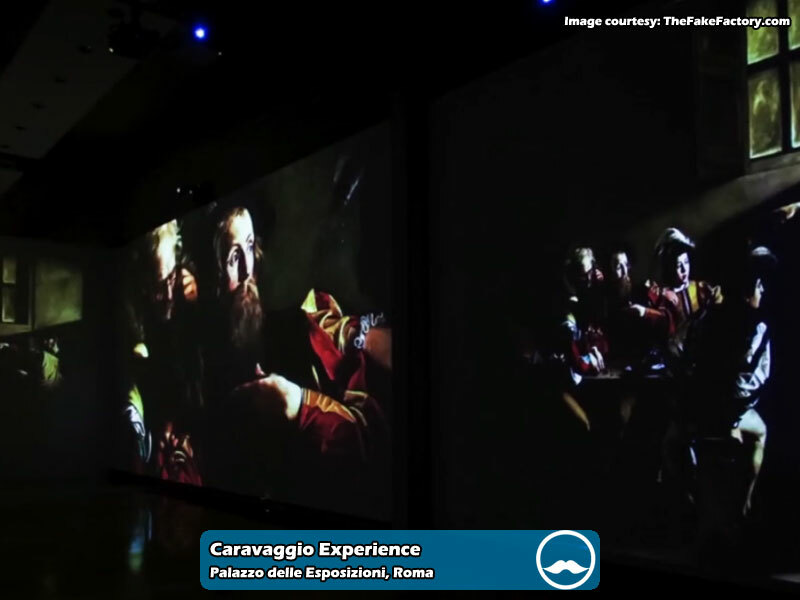 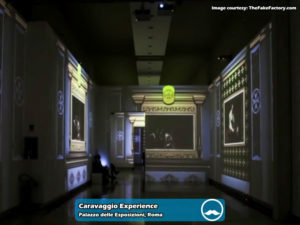 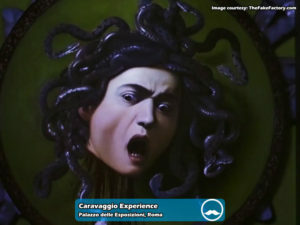 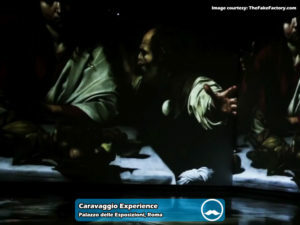 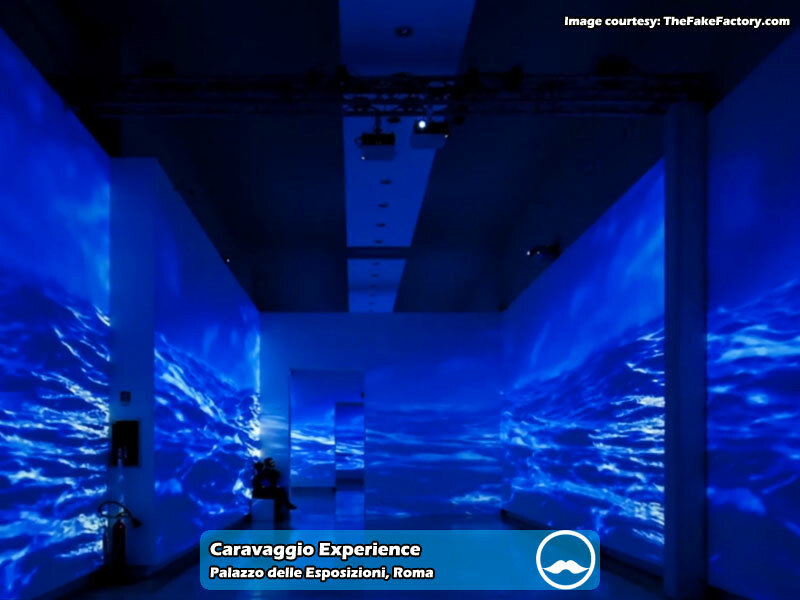 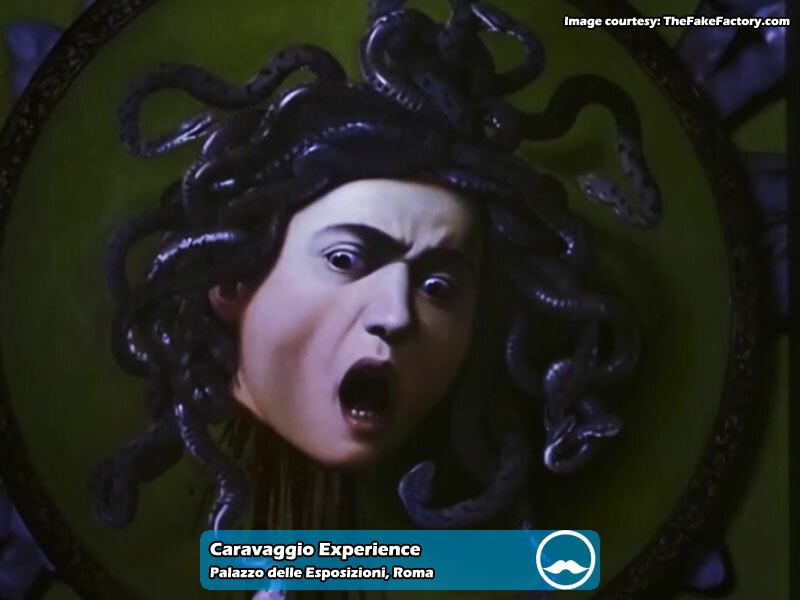 Hosted at the Palazzo delle Esposizioni in Rome from 24th March to 3rd July 2016, the impressive video installation Caravaggio Experience has received a well deserved acceptance by the general public during its duration, attracting more than 70.000 people coming to the rooms on the second floor of the prestigious location in via Nazionale to seize the complexity, the charm and the mystery of the 57 projected masterpieces by the famous painter Michelangelo Merisi, well known as the Caravaggio. 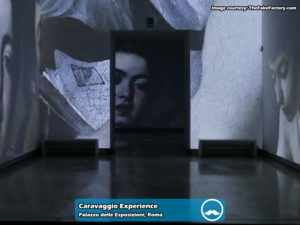 The creative/artistic project, developed by The Fake Factory video artists on Stefano Saletti‘s original musical compositions and even enriched by olfactive fragrances selected by Officina Profumo – Farmaceutica di Santa Maria Novella, made the visitors enjoying an incredible experience from the sensory point of view by immersing in the colours and great themes (Light, Naturalism, Theatricality, Violence, Places of Caravaggio) depicted in the works of the famous Italian artist. 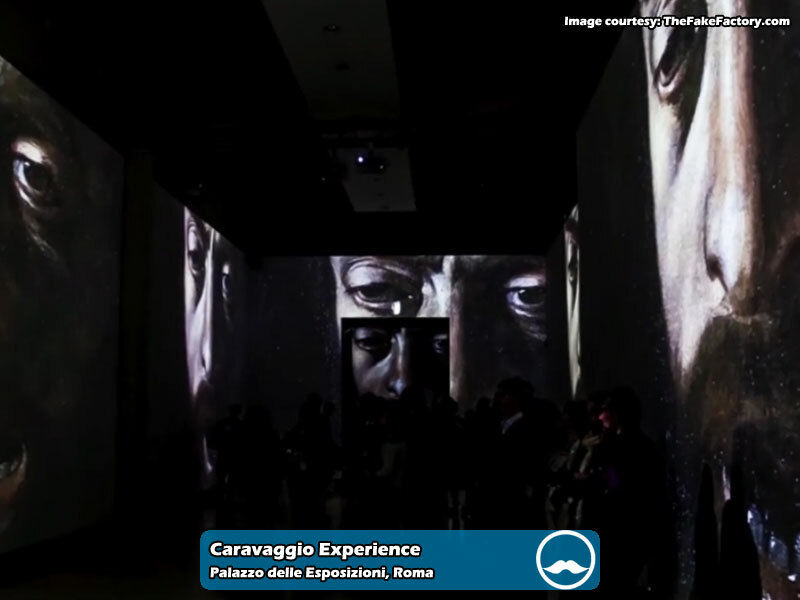 The event came to life also thanks to the scientific consultation of Claudio Strinati and has been co-produced by Azienda Speciale Palaexpo and Medialart, a company from Florence, in partnership with Roma&Roma S.r.l. 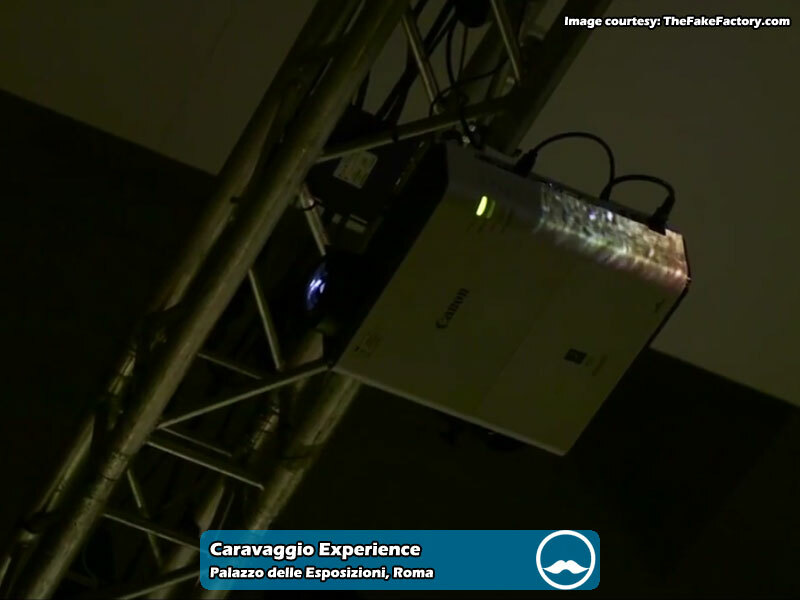 From the technical point of view IC Videopro supplied a whopping 30 Canon video projectors belonging to the XEED family, specifically 25 among WUX400ST and WUX450ST, 3 WUX6000 and 2 WX520, all set up in WUXGA, further than 5 Canon LV WX300ST with Short Throw lens. 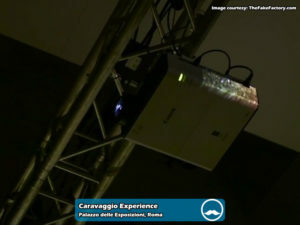 All the aforementioned video projectors have been linked through the sublime Infinity Dimensions Technology multi projection system.